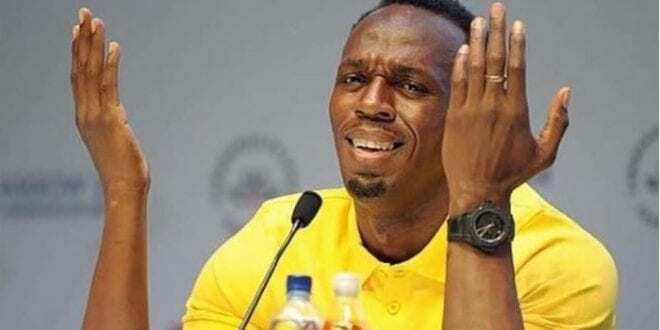 Usain St Leo Bolt a Jamaican retired sprinter and world record holder has recently revealed that he’s mortified after being served with a drug testing notice despite his retirement from athletics and having no professional contact linking with the sport. This comes at the time that the sprinting legend is gearing up to embrace his football career in Australia. The 100m world record holder retired from athletics last year and is yet to be offered a deal by the Australia Central Coast was Mariners, where he is currently on trial. “ So guys I’ve retired from track and field looking to become a footballer but look at this,How am I going to get a drug test today? I’m not even a professional footballer yet. Seriously,” said asserted. “So I asked the lady, ‘Why am I getting drug tested when I haven’t signed for a club yet?’ and she said they told her I’m an elite athlete so I have to get tested. Okay then,” he said. The demand for the out of competition test, to collect urine and blood, appears to have been issued by Football Federation Australia. Despite Bolt’s vexation, it appears the Australian Sports Anti-Doping Authority guidelines mean he is eligible to be tested. Their legislation defines an athlete as a “person who competes in sport” if “the sport has an anti-doping policy”. The request comes just a week after the larger than life athlete scored his first two goals for the club for the Mariners during a pre-season friendly against Macarthur South West.